Logically speaking, is this the price for being patriotic, and serving the country at the cost of life? Does it come under the laws of the land that those who shed blood for the nation should also be treated apathetically and even hurt grievously? I think we have to recheck the constitution and sit down for a serious introspection. I don’t think it is right to hit a person with a ladle spoon that lovingly cooks and serves you the food. 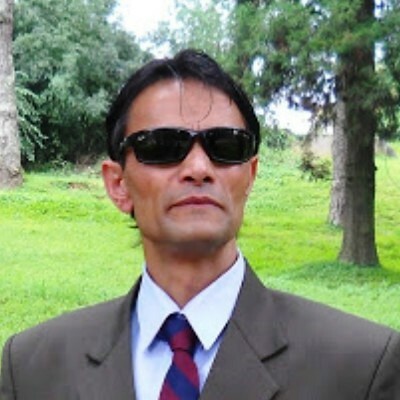 Firstly, it should be borne in mind that the history of Gorkha is not littered with any treacherous misdeeds. The betrayal of trust be it in service or in social setup, is not in their DNA. They never at any time acted like a terror group against India which some leaders want to claim. Indeed, it’s Gorkha army which is one of the most robust “armours” of the country. For ages, the fierce Gorkha fighters have been standing like a rock along the porous borders and terror-ridden POK et al in order to protect the country and safeguard its citizens within. Of course, many top leaders never miss admiring our warriors -- ‘Indians are sleeping because those brave soldiers are not asleep’. Given the spine-chilling situations across the borders, it is not an exaggerated appreciation either. A rare pride which Indian Army often takes for having at its disposal 7 number of dedicated Gorkha Regiments such as 1 Gorkha Rifles (GR), 3 GR , 4 GR , 5 GR, 8 GR, 9 and 11 GRs, is always encouraging and rays of hope. These badass regiments had been most confidently chosen to put up strong fights against Sino-Indian War in 1962, Indo-Pakistani War in 1971, Battle of Sylhet, Kargil War in 1999. And, on several occasions, they represented Indian Army to serve in Sri Lanka, Bangladesh, Siachen and also sent for UN peacekeeping missions to Sudan, Lebanon, and Sierra Leone. How they fought and what ways they earned the unmatched commendations for “valour” are fully recorded in the arm forces archives. Yes, there hardly a month goes without a couple brave Gorkha warriors being martyred while fighting against the enemy. But what do one feels when these loyal army personnel’s children and relatives are accused of having connections with the terrorists or insurgent groups? This is quite outrageous. What a big irony that during the present Trinamool’s rule the West Bengal has witnessed, and also endured, a lot many horrendous activities that have literally convulsed the state. Here now exist a swarm of “special citizens” who never hesitate to have a connection with terror elements/groups within and outside. But they all are well snuggled by all-comforting and forgiving Chief Minister. No wonder, it is often reported that many of her loving voters, who are mostly ill-bred but over pampered, were even caught red-handed manufacturing bombs. Such special citizens are round-the-clock posing threats to the indigenous Bengali populace --- Baduria and Basirhat commuanl clashes being the latest. Well, NIA (National Investigating Agency) has unearthed many such citizens having established secret nexus with other underground brigands outside the country too. It was also brought to the public that their special academic institutions also teach such kind of lessons to the children which themselves are the recipe for disaster. Many are of the apprehension, instead of expanding the “economic investments”, the Chief Minister of the West Bengal is facilitating the “explosive investments” which might in future put the country in dire straits. But, our all-merciful ‘Didi’ never felt any regret, nor threatened and worried. But contrastingly, when no-nonsense Gorkha populace humbly kneel down and beg her to resolve their identity crises then she loses her cool. If they persist with their demand then her administration sends ruthless police forces. Needless to say, the backbone of security of the nation has apparently stolen the Chief Minister’s sense of security. She hurried herself to make a number of caste-based developmental boards. Cunningly schemed, the move was ostensibly to sever the mutual bonds among the several Gorkha tribes/castes and thus plant the seeds of discord in every possible way. The imposition of the compulsory Bengali language upon the Gorkha is the Chief Minister’s long-term plan. She must have felt the link language Nepali, which is constitutionally recognized, could act as a great unifying factor among the Gorkha’s castes. The CM must have feared that her objective could not be achieved if the Gorkha’s lingua franca (Nepali) is not undermined at the outset. Yes, thus West Bengal CM’s excessive passion for remaining in power has amply brought out what is worst in human. She never gave a second thought to deploy the central forces. And consequently, three innocent Gorkhas were shot dead. But it did not touch the CM’s heart. Her police force rather pounced upon even the poor and naïve women from the villages and tortured them brutally. It is usually expected that one, being wrapped in a “white sari”, and with a “hawai chappal”, should always walk on the path of humility and compassion, not ever being overcome by the materialistic greed and antagonism. But here Mamataji has seemingly beaten even the snobbish pretence of a Bollywood’s star by cleverly masking her “true self” with the garb of ‘sanyaasini’. A good many dirty scams by her party men have long sullied Didi’s lily white sari. It is quite apparent that Mamataji is steadily eyeing Darjeeling and its adjoining areas as her private fiefdom. It seems a bunch of good scholars are now urgently required to wise her up about its history. She probably does not know about the Nepal Kingdom which was prudent enough to come to have a patch-up agreement, under Sugauli Treaty 1815-16, with then rapaciously imperialist ‘East India Company’. So, “Nepal Kingdom’’, to avoid continuous unpleasant conflicts, surrendered about one-fourth of its land to the British. This included the major chunk of the mountainous, hilly and plain terrains. Areas like Darjeeling, Sikkim, Nainital, Kumaon, and Garhwal handed over to the East India Company. Rationally speaking, if all this vast area of land, its mountains, its pristine hills, rivers, flora and fauna can be regarded as Indian then why can’t the human inhabitants in it? Why is there so much skepticism and callousness? It is totally unconstitutional. Well, if our leaders still become confused and desist from resolving the identity crises of the two-legged native of this land then I would suggest them to meet and consult the bio-scientists and geoscientists, or, if still, the doubt persists, then rush for the psychiatrist. Incidentally, India’s leaders jump in ecstasy when Sunil Chhetri scores a goal. Whole India cheers for Chhetri’s outstanding performances and lovingly calls him Ronaldo of India. Shiva Thapa was affectionately patted on his back by none other than PM Narendra Modi while seeing-off for the Olympic. One feels, Gorkhas have enough of the lip services have from Indian leaders. Now what is most important is a “true pat” on the back of the ‘’whole Gorkhas’’ by fixing their identity crises. Well, Gorkhas came with the land, never like other invaders or infiltrators who have been posing serious threats to the NATION. Gorkhas are the stout walls of security and integrity for the country. It is time for India government to pay back their dues with gratitude. They can’t bite the bullet all the time under the brutally heartless administration of West Bengal.